Marketing Week: HP’s CMO: Brands and agencies must publish their ‘scorecards’ to move diversity forwards. 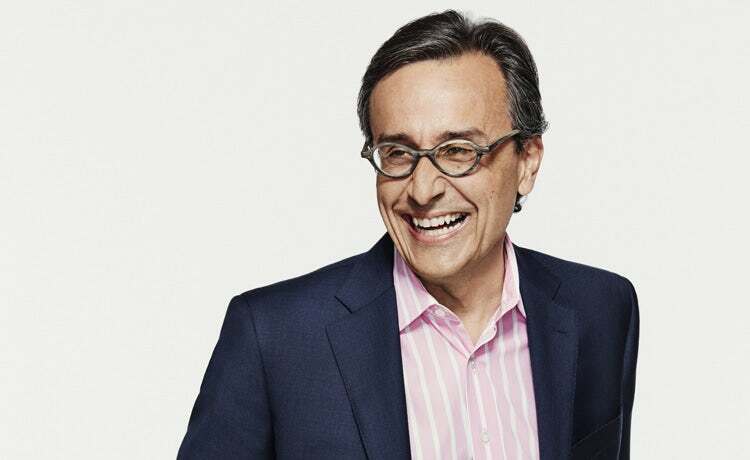 It was Lucio’s commitment to diversity and the desire to see measurable and meaningful change that inspired a decision just over a year ago for HP to insist its main agencies include more women and people of colour in positions of influence on its account. Although there was no explicit consequence, the call for direct action appears to have focused the minds of its five main agency partners – Gyro, BBDO, Fred & Farid, FleishmanHillard, and Porter Novelli – when it comes to the representation of women. A year on Lucio’s targets for women – more than half (56%) of the account team must be women, while 47% must be in leadership roles – have been exceeded. On minority representation, where agencies were left to set their own goals, there is still plenty of room for improvement. Two agencies – BBDO and Fred & Farid – get special mention from Lucio for “significant progress” ahead of their own expectations, but he describes the return from the others as “frankly disappointing”. Despite variable results, it’s testament to Lucio’s influence that he is able to provoke change without publicly wielding a stick. It also helps that HP had its own house in order before making demands of others, publishing its own employee data before setting its agencies the challenge to change. In 2016 its marketing and communication department was 63% female. Across HP, women accounted for 43% of all leadership roles and 55% of all employees. More than a quarter (26%) were ethnic minorities. “Diversity and inclusion for us is a business imperative more than anything else. We believe that our teams should be representative of the communities we serve,” Lucio tells Marketing Week. Lucio is not alone in identifying the business and societal benefit of diverse teams but few have been so transparent in publishing demographic data, which he refers to as a ‘scorecard’. Does he wish others would follow suit and reveal their progress, or lack of? “I only control what I can control. I am only responsible for the things I am responsible for. Yes, I would love for other people to do it, that’s why we did this and that’s why we published this. What I think is that the time has come for brands to publish their freaking scorecards. It’s difficult to imagine Lucio ever being equivocal. Whether on the topic of diversity or the state of marketing, he is unerring in his conviction. On the latter, he believes marketing is in a trough, caused by the concerns around digital expressed by CMO peers such as Unilever’s Keith Weed and P&G’s Marc Pritchard – viewability, transparency and fraud. Lucio joined HP in 2015 from Visa where he held a similar role. He cut his teeth at consumer goods firms including P&G and PepsiCo. Moving from organisations whose business success is dependent on the success of its marketing to HP, where marketing had control of just one of the four Ps, required a very different approach. “The core of the company is the engineering group, so product is controlled by them. Then you have pricing, controlled by the product management office. Then you have the distribution, controlled by sales. And marketing is relegated to promotion. The brand is something that is built outside the business – it is something that you add onto the product, it is not synergistically built as one from the beginning. If Lucio has a guiding principle for marketing success it is this need to be a “business person” first, both to achieve career success and to advance the influence of marketing in an organisation. Defining what the marketing function is, what success looks like and having meaningful measures to track return was a process he employed at Visa and is repeating at HP. Balancing the ability to “walk and chew gum at the same time” by demonstrating “the impact of your marketing today” as well as “the benefits of building a business for the long term” is key, he adds. “As marketers we are in love with innovation. That is what the underlying reason for being of the function is all about – constant invention – no question about it. But again, if you fundamentally believe in the premise that you have to be a business person first and a marketing artisan second, then it’s all about building the business short-term and long-term. That means that you have to have a very strong voice at the decision making table. Despite the long to-do list marketers have in order to recover from the “crisis of confidence” he believes they are suffering from, Lucio is chipper about the near-term future for marketers. The number of channels and the potential of data means “there is no better time to be a marketer than today”. And despite the ability to employ scientific rigour and reach people in so many ways, he says effective brand building will offer competitive edge.